This is part six in a series on the topic, “New Testament Principles on Leadership Structure.” Enjoy. If you want to catch up on the previous parts, scroll down. Acts 14:23 reads, “So when they had appointed elders in every church, and prayed with fasting, they commended them to the Lord in whom they had believed.” Paul told Titus to “appoint elders in every town…” (Titus 1:5). 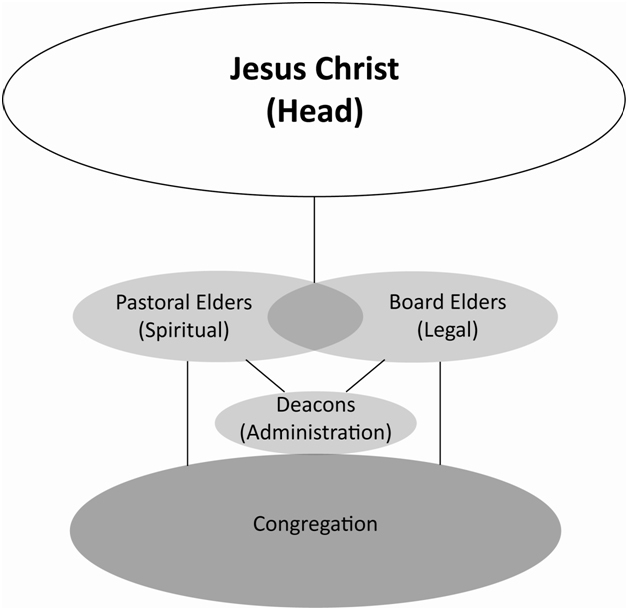 The word “appointed” is from the Greek verb, cheirotoneo, meaning “appoint,” “designate,” or “choose.” Elders were chosen by the apostles and the local leadership of each church. The early apostles knew that false teachers and heretics were growing in influence in the newly planted churches. Indeed, one of the elder’s most important responsibilities was guarding the flock from false doctrine. Thus, it makes sense that the apostles would have seen the need for the proper appointment of biblically educated elders. In the context of Acts 14:23, “…they (apostles) commended them (newly appointed elders) to the Lord…” The verb “commended” (paratithemi) implies entrusting something valuable (Strauch, ibid, p. 139). The implication and meaning of this phrase being the value placed by the apostles on those whom they appointed to this task. In 1 Timothy 5:17, the elders are the ones who “rule” in the local congregation. The word “rule” is the Greek word, prohistemi, meaning lead, manage, or direct. Therefore, in crucial matters, such as the selection of leadership for the church, the overseers should direct the whole process (Strauch, p. 278). For this reason, healthy eldership means that the elders are always on the lookout for new leadership that can be developed in the congregation. Kenneth O. Gangel, professor and chairman of the department of Christian Education at Dallas Theological Seminary says, “The key to reproducing leadership is to clearly plan for it. Church leaders need to produce leaders who will reproduce leaders precisely as it is done in the family—through experience, instruction, and modeling” (Feeding and Leading, p. 309 and 313, quoted by Strauch, ibid, p. 278-9). These explanations provide us with new meaning to 2 Timothy 2:2 that reads, “And the things that you have heard from me among many witnesses, commit these to faithful men who will be able to teach others also.” One of the most important qualities of strong leadership in a local church is the ability to raise up other strong leaders. The MSC board elder team selects new elders for the board. The pastoral elder team, in consultation with the board, appoints new pastors. All pastors at MSC are required to be building their ministries with other strong and capable leaders of character that can share the load of leadership and more effectively multiply their influence into their areas of discipleship. For the Bible believing follower of Christ, the fundamental principle for male leadership is the person of Jesus. God, the Father, sent Jesus, the Son, to the earth. God did not send a daughter, but a son. Jesus was the “last Adam” and the “first born son of David.” It is the maleness of Jesus that is the marital picture used for Christ and the church in Ephesians 5. His maleness was not an arbitrary matter (Strauch, ibid, p. 52). Jesus chose twelve men to “be with Him.” Peter, James, and John became the first leaders in Jerusalem. The twelve apostles in Jerusalem appointed seven men to wait on tables. Paul became the first elder to the gentile churches and appointed only men in positions of leadership. Timothy led the church at Ephesus. Titus was the lead elder on Crete. In every example of government structure in the New Testament, men are chosen to lead. Indeed one of the qualifications given for leadership in the local church is that the elder be, “the husband of one wife” (1 Timothy 3:2-7; Titus 1:6-9). Clearly stated, in God’s divine order, men are tasked with leading the church. Paul loves to use the household analogy when speaking of the divine order for the local church (see 1 Timothy 3:15). Just as he teaches male headship in the family, Paul also teaches male headship in the local body of believers, the church (1 Timothy 2:8-3:7). Since the home is the basic unit for social order, it should not be a surprise that Paul would take the same analogy into the order for the “household of God” (Strauch, ibid, p. 58). In Paul’s mind the leadership of a biological family is an extension of His leadership over the church family. For the sake of not being misunderstood in our 21st century world, I must be clear in stating that I believe that the biblical teaching regarding men and women is of full equality in dignity, personhood, gifting, and value, but distinct in gender roles. In explaining what the Bible teaches about eldership in the church, I am not making a statement about the role of women outside the church (i.e. home, work, or politics, etc.). My purpose is to only share what the New Testament teaches about roles in leadership within the church. Over the years I have come to see from scripture and from life that manhood and womanhood are the beautiful handiwork of a good and loving God. He designed our differences and they are profound. They are not mere physiological prerequisites for sexual union. They go to the root of our personhood” (p. 32, cited by Strauch, ibid, p. 52). God’s divine gender roles really matter. Like the play, Romeo and Juliet, each actor has a role. When the roles are played according to the script and guided by the producer, a wonderful play is produced. So it is in the church of Jesus Christ. All of our MSC board and pastoral elders are men. As I finish this white paper, I feel compelled to conclude with the admonition of Peter, “above all things have fervent love for one another…” (1 Peter 4:8a). When we read the first letter of John, we are constantly reminded of the vital importance of love in everything we do. Love is the definer of what we believe (see 1 John 3-4). Love is the greatest commandment (see Matthew 22:35-40). This commandment is defined by our actions of loving God and people. We cannot say that we love God and then hate our brother (see 1 John 3-4). Therefore, the most important testimony of love for God is our love for God’s people. Every elder must lead with such love. Great love is great leadership. A loving Jesus raises up loving elders. Loving elders build loving churches. What we need today are loving churches. Churches built on walking in the truth of love (see 2nd and 3rd John) are churches which are impacting the world with the “agapeo” of Christ. The most important function of leadership in a New Testament church is that of love. Such love cascades down into the body and touches every member. In conclusion, may love be our aim, may love be our vision, and may love for one another be the hallmark of our church.